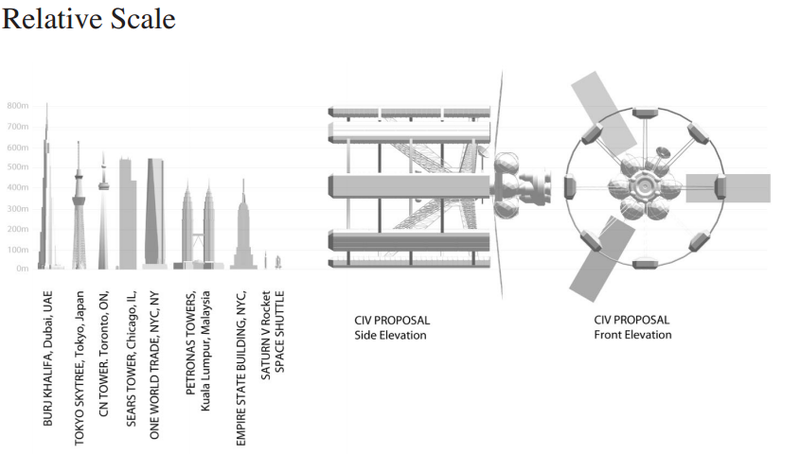 Nextbigfuture described how 200 large space stations could be built by 2040 to hold 2 million people. There are videos that provide more details on the SpaceX BFR and the Kalpana space station. Below are two intermediate space stations that would be stepping stones leading to serial production of Kalpana space stations. This may not be needed and may not be the most affordable option because leaving six to eight Big Falcon Spaceships in orbit would probably cost less and provide similar habitable volume. 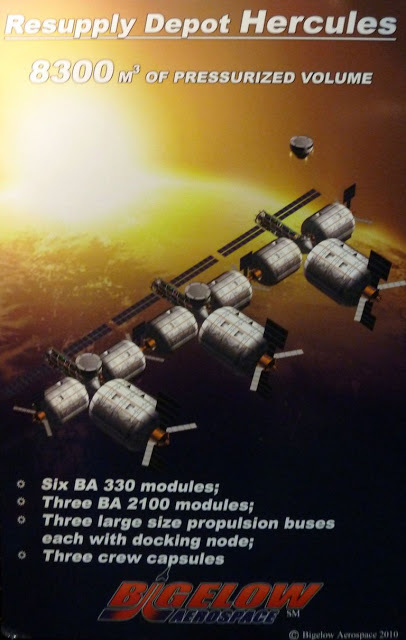 Resupply Depot Hercules (8300 m3) – Six BA 330 modules, three BA 2100 modules, nine propulsion buses with docking node and three crew capsules. 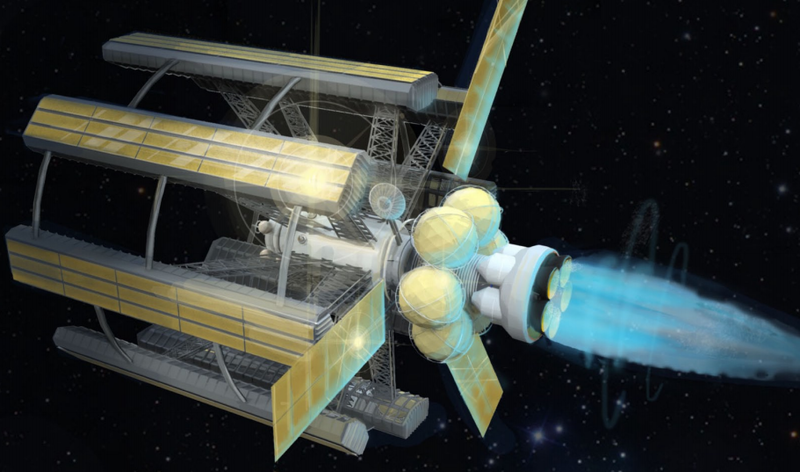 Stem for the Classroom analyzes the Bigelow proposals for the Herecules resupply depot. Therefore, the space station weighs 501 mT. Therefore, the space station has a crew of 84. Therefore, the space station has a pressurized volume of 8,280 m^3. This also comes out to 99 m^3 per crew member. The space station has a total cost of $2,575,000,000 (USD). A ten thousand person colonization spaceship design was proposed by Icarus Interstellar with a focus on how the community and living spaces should be designed. People are assigned area with the density of the city of Seattle and standard mixed-use living areas. Everyone has 50 square meters of living space. There is agricultural and other green areas. 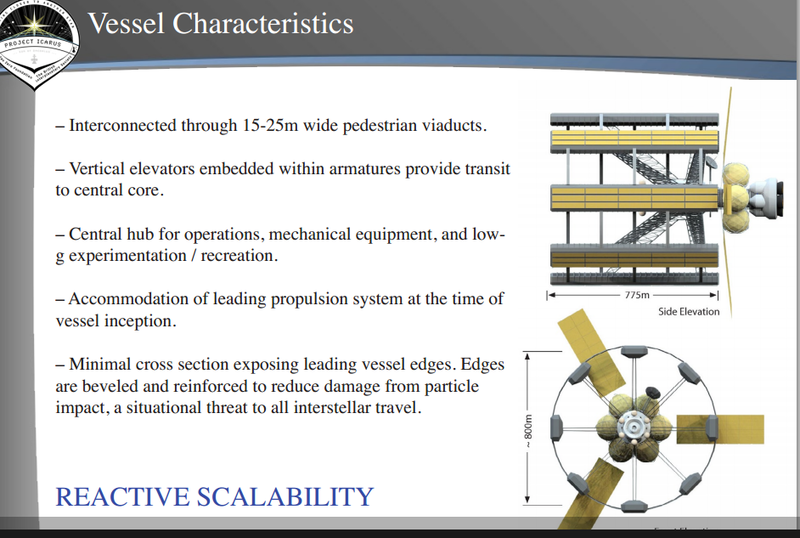 Without propulsion it could be used as an initial large-scale space station with rotation for gravity. It could be placed in equatorial low earth orbit (ELEO) for low radiation. 40 BA-2100 modules or Big Falcon Spaceships would be $10 to $20 billion. 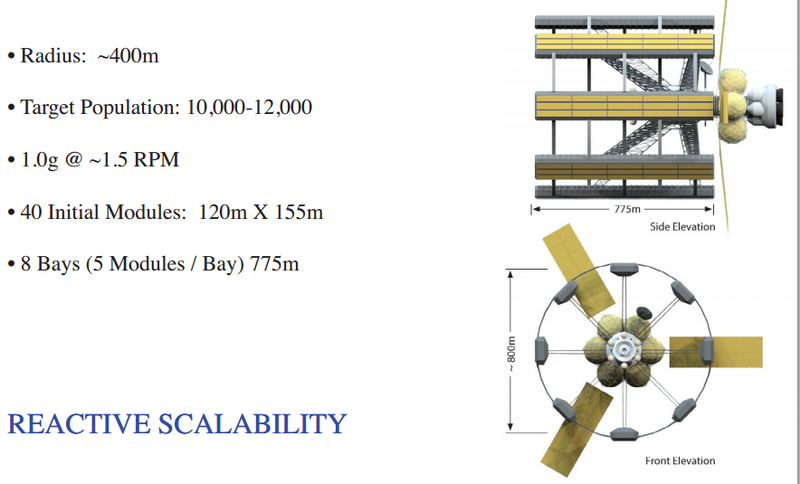 SpaceX BFR might be able to launch two BA-2100 modules at a time.